Android apps are extremely popular around the globe, and the Android app marketplace is growing rapidly. By building an Android mobile app, your company has the opportunity to reach a large international market. mag+ allows you to build Android apps that provide a great reading experience with fluid scrolling and fast loading. 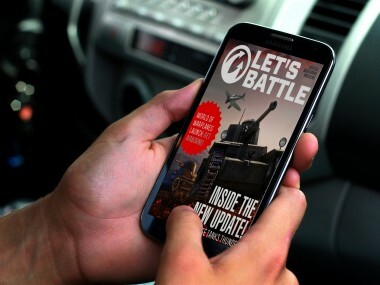 Let’s Battle, from Wargaming Magazine, is a remarkable app for Android. It’s packed with interviews, stories, and interactive strategy guides to help gamers improve their play.